Over the last 15 years, FadalCNC.com has used its extensive experience in the industry to not only find you the best parts, but also manufacture custom parts with higher quality and more durability than any others on the market today. For example, the MTR-0002EP is our completely submersible “watertight DC motor” exclusive to FadalCNC.com. This drop-in replacement for the MTR-0002G and MTR-0002B eliminates water damage, significantly lengthening the life of the motor. Our strong commitment to our customers doesn’t end there. 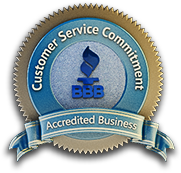 We strive everyday to exceed your expectations in competitive pricing, customer service, and responsive delivery times. “Done. Done Right. Overnight!” isn’t just our motto, but the way we really do business! In addition to providing incredible components and kits, we've created a series of instructional PDF’s and videos in the FadalCNC University section of our website. Last, but by no means least, is our unrivaled, free technical support from representatives that have years of experience. With all of these benefits, FadalCNC.com isn’t just your source for parts at exceptional prices, we are also your partner in making your machine shop a success! If you don’t see a product you need at FadalCNC.com, please call us at (208) 855-9426. We are always happy to assist you!